The 24th annual Women in Wales fundraising Luncheon took place on 22nd April at the SSE SWALEC stadium in Cardiff. To celebrate the Queen’s 90th Birthday, the theme this year as ‘A Royal Celebration’ and the event was a sell-out with 450 guests who enjoyed a 3-course lunch, live auction and raffle. Guests were entertained by Sir Malcolm Ross, OBE who shared highlights of his 18 years in the Royal Household and a wonderful performance by The Vernon Sisters who entertained during the drinks reception and ended the lunch with their Vintage Cabaret. 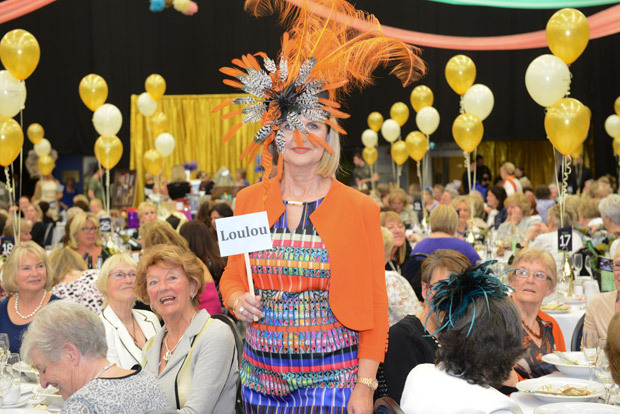 Eight local Welsh boutiques provided a fashion show throughout the lunch. Since the lunch a cheque presentation has taken place with £20,000 being donated to Save the Children to help fund the Eat, Sleep, Learn, Play project in Wales. In 2017 it will be the 25th Anniversary of this annual Luncheon and the proposed date is Friday 7 April.